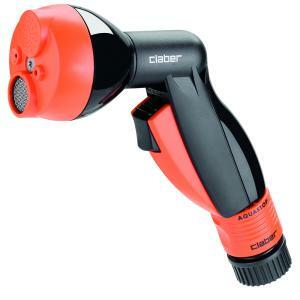 A great all around garden hose spray nozzle. Four spray patterns for multiple uses. Includes ergonomic rubber grip and quick release trigger that locks when pressed.